Apparao Galleries was established in 1984, to share and bring about joy in art. Over the last three decades, having been associated with well-known artists in addition to many emerging stars, Apparao Galleries has had the distinction of exhibiting Indian artists in cities across the globe. Based in South India, the gallery has carved a niche across India for its keen sense of aesthetics and sharp nose for “New Trends”. 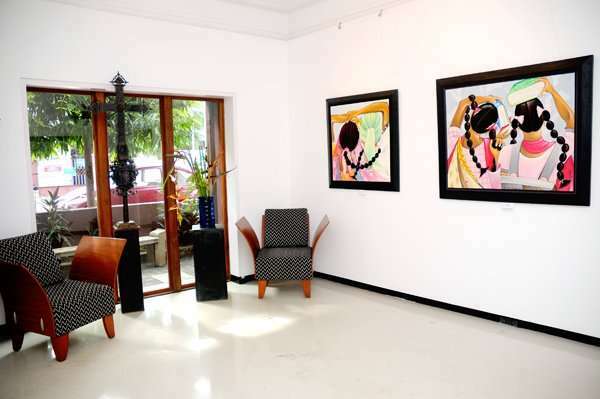 Apparao Galleries takes the experience of art beyond just lifestyle, to what art actually is. As an experience meant to raise questions that do not perplex one, Art from Apparao Galleries, takes you to a state of mind and aesthetics that allows you to value the understanding it brings to you. To transcend from a buyer who collects objects or a collector who values brand names into a connoisseur who appreciates, understands and loves art – that is the mark that Apparao Galleries leaves one with.